Allen Fly Fishing just unveiled a new line of rods called the ATS series, with sizes from a 2-weight up to a 6-weight. The ATS series is constructed of the same aerospace-grade graphite as their Xa, Myth, and Olympic series rods. The maple reel seat, A-grade cork, TiCr plated stripping guides, classic style snake guides, and dark red gloss finish on the blank round out the finish on this rod. Rods range in price from $159.99 to $179.99. 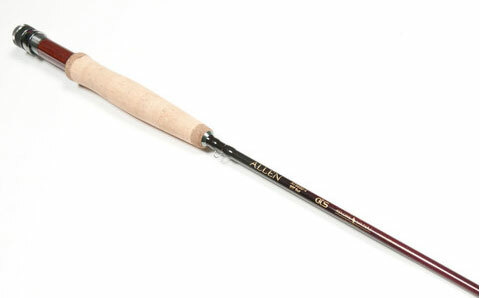 Allen is proud to be offering a special edition of this rod in select sizes to support Project Healing Waters. Project Healing Waters offers fishing, fly tying, and social gatherings for US war veterans, and is a program Allen strongly supports. For every special edition rod purchased, they will donate $25 to Project Healing Waters.